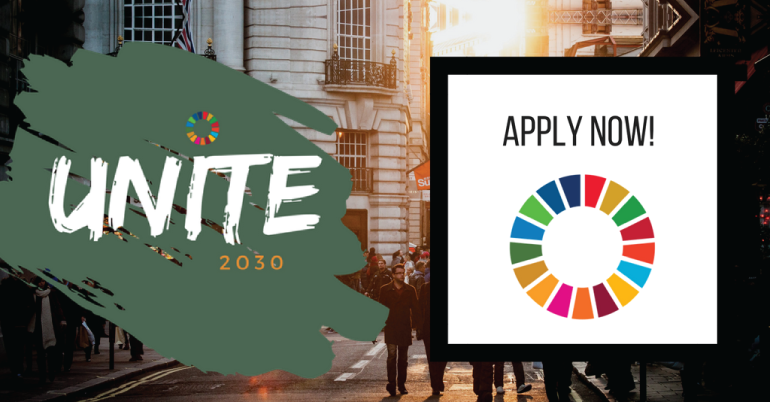 UNITE 2030 is a virtual, 2-day hackathon for the Sustainable Development Goals. The mission of Unite 2030 is to unite the next generation of world changers in order to ignite social change by turning their passion into action. On the 7th and 8th of April, 2018, World changers from across the globe will gather virtually for a 48-hour competition to solve the world’s most critical international challenges. Worldchangers from around the globe will virtually convene for a 48-hour Hackathon competition. Worldchangers will be split up into teams of 4-5 based on the social issues that they’re passionate about. Teams will then be presented with a global challenge that they must solve within the presented time frame. Throughout the 48 hours, Worldchangers will watch workshops hosted by world-class experts, work closely with their team to quickly, and diligently address the challenge, Teams will then present their solutions within the framework that we provide. Judges will select finalists, and the winners, who will take home the title of UNITE 2030 Global Champions 2018. The chance to win prizes such as acceptance to IDHouse’s 2018 Youth Delegate Programme. You must be between 18-30 years old by April 8th, 2018. It’s essential to have Fluency in English so you’re able to communicate with your team effectively. If you have any questions, please get in touch. You have access to a computer (with a working microphone and speakers) for the duration of the event. The organizer doesn’t care if you borrow someone else’s computer, or where you are. But it’s essential to be able to collaborate with your teammates effectively, and having access to a computer is a part of that. If you don’t have access to a computer, you won’t get as much out of it. Please – do NOT log on from your phone or tablet. You must have access to strong WiFi. Imagine how bummed out your team would be if they weren’t able to speak to you because you kept cutting out! Make sure that you’re in an area with good WiFi for the duration of the event. You must have a passion for global change and a willingness to learn. Flexibility and collaboration are essential for your success in UNITE 2030. You’ll be meeting others from all over the world. Don’t be afraid to talk to someone you don’t know, take a leadership role, or take risks. It’ll be worth it in the end.